This woman could be a modern-day Virginia Woolf. Hangin’ out, barefoot, in a coffee shop while working on a novel and consulting her iPhone. 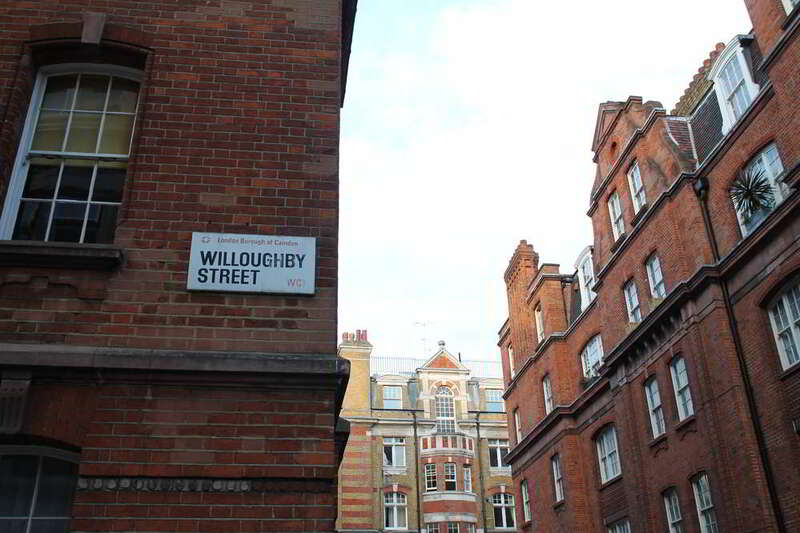 Because, historically, Bloomsbury is associated with artists, writers and intellectuals who lived an avant-garde, bohemian lifestyle during the first half of the 20th century. I think I’m a bohemian and if not, I aspire to becoming one. 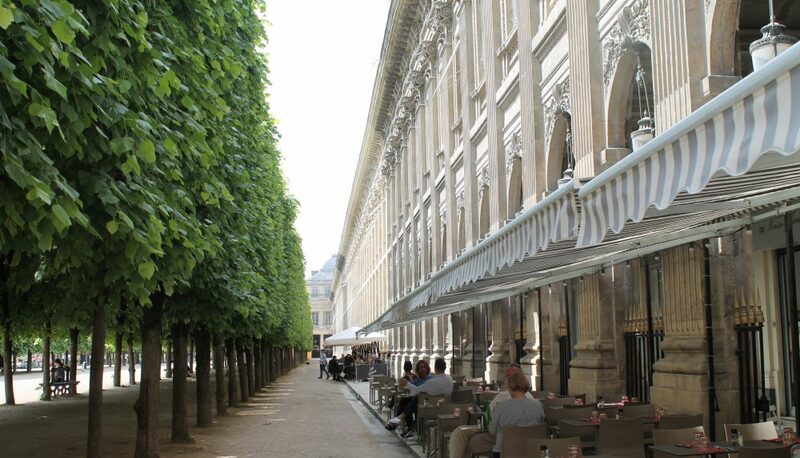 There are many advantages to staying in or visiting this charming neighbourhood. 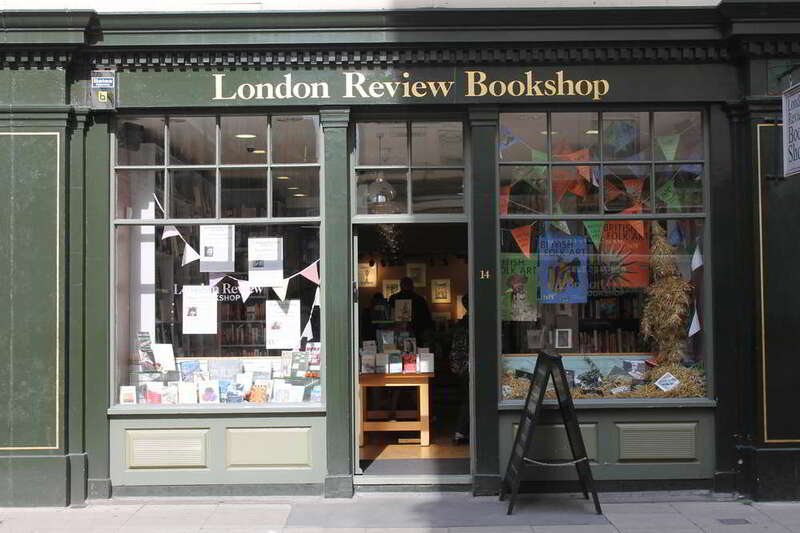 Firstly, when you arrive, as I do, at St. Pancras train station from Paris on the Eurostar, it’s a mere 20-minute walk from St. Pancras to Bloomsbury. And walk I do. To my favourite small hotel, The Penn Club. The Penn Club operates in accordance with Quaker ideals and provides quiet, comfortable and secure surroundings for members and guests. I stayed a few nights at The Penn Club before moving across town to another place in South Kensington. The stairs are a bit creaky (there’s no elevator) and the place may not be everyone’s cup of tea, but I like its location and its coziness. And did I mention their amazing breakfasts (included in the price of the room??) There’s a quiet reading room called The Cadbury Room (because the founder of Cadbury chocolates was a Quaker), a communal TV room and a breakfast room where you can sit on your own or at a communal table. On my first morning in London, I sat across from the nicest Englishman. He introduced himself, told me he was heading up to Scotland on holiday and that he was a teacher (and a widower.) Over our respective porridges followed by a plate of bacon, sausage and scrambled egg, whole-wheat hot buttered toast and delicious coffee, we talked for well over an hour about numerous topics. From the hotel, the British Museum is a mere 5-minute walk. Free to all visitors and open every day, it houses a vast collection of world art and artefacts. To not visit this important museum would be a shame. 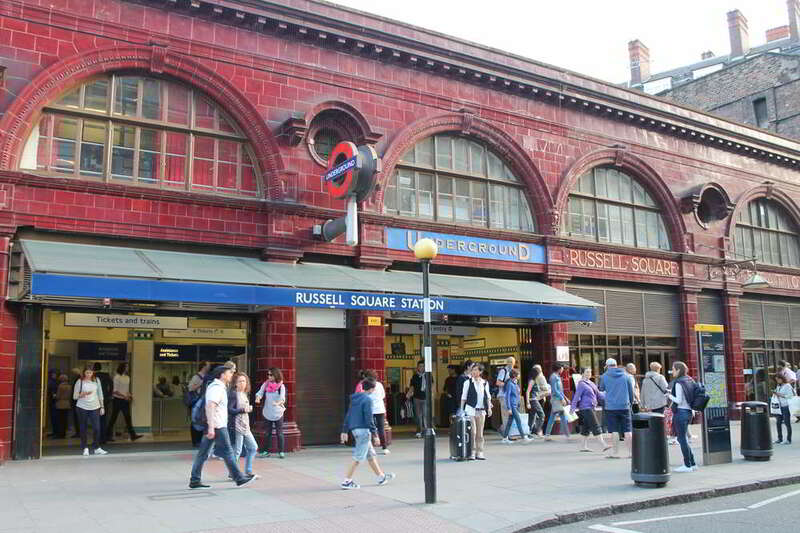 Russell Square station is the closest tube station. 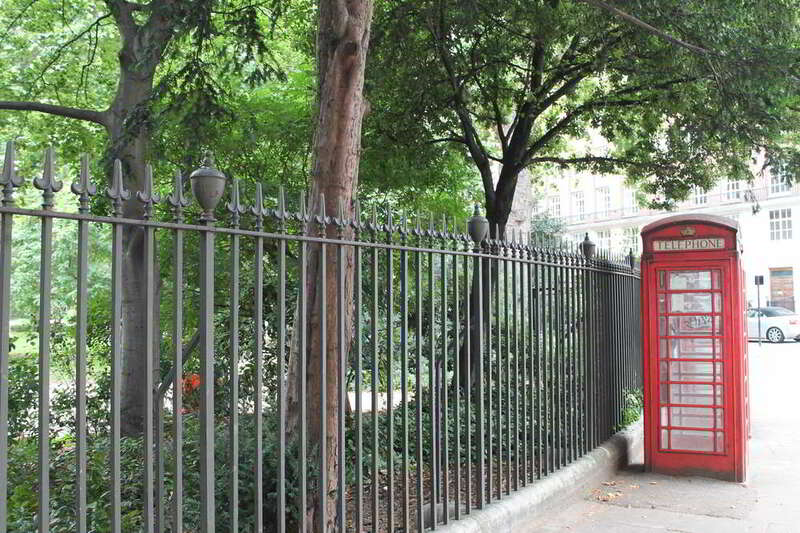 Bloomsbury contains some of London’s finest parks and buildings, and is particularly known for its formal squares which include Russell Square, Bedford Square and Gordon Square. 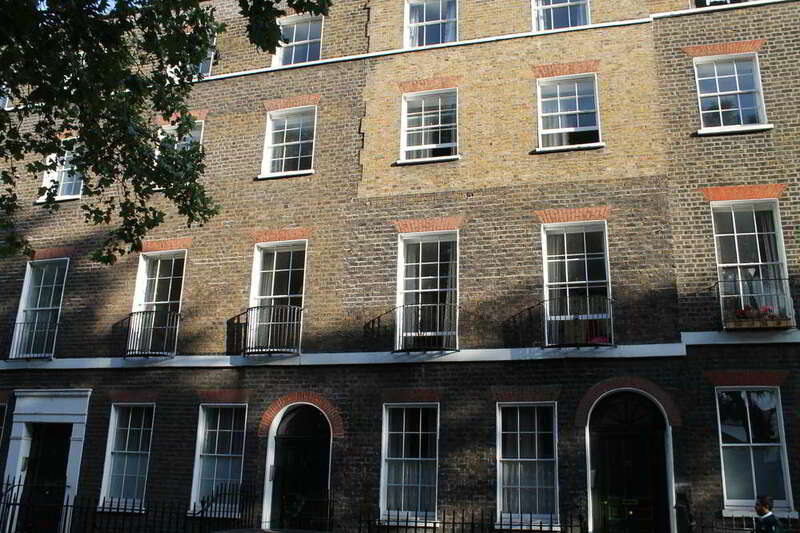 This is where Virginia Woolf lived briefly, at number 46 (she moved around a lot.) I love wandering around gazing at the architecture, sitting in the lovely parks and visiting my favourite shops on Marchmont Street. Bloomsbury has a nice vibe; very nice. 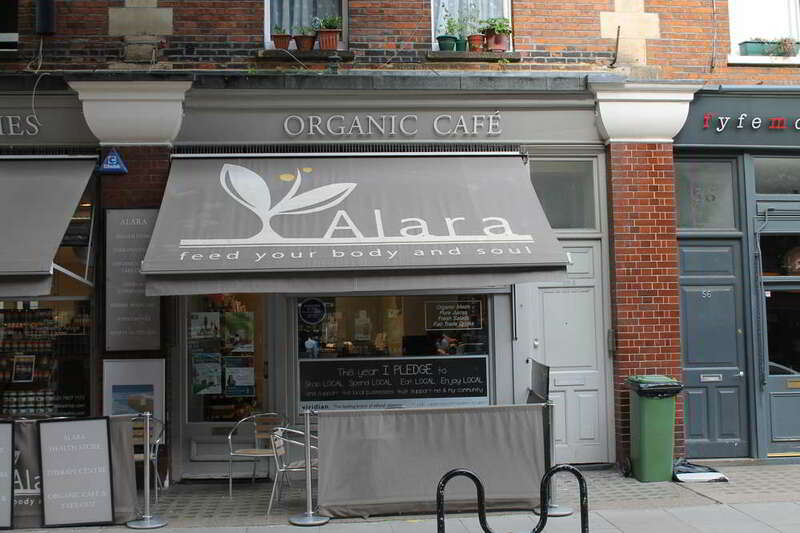 On Marchmont Street at numbers 58-60, there’s an excellent health store and organic café called Alara. I had a delicious vegetarian cheesy lasagna for lunch, a big leafy salad and a blood-red, freshly-made juice called Fatigue Fighter, made from apple, celery, beetroot and ginger root. I also buy lovely organic soaps, hair products and cosmetics here. 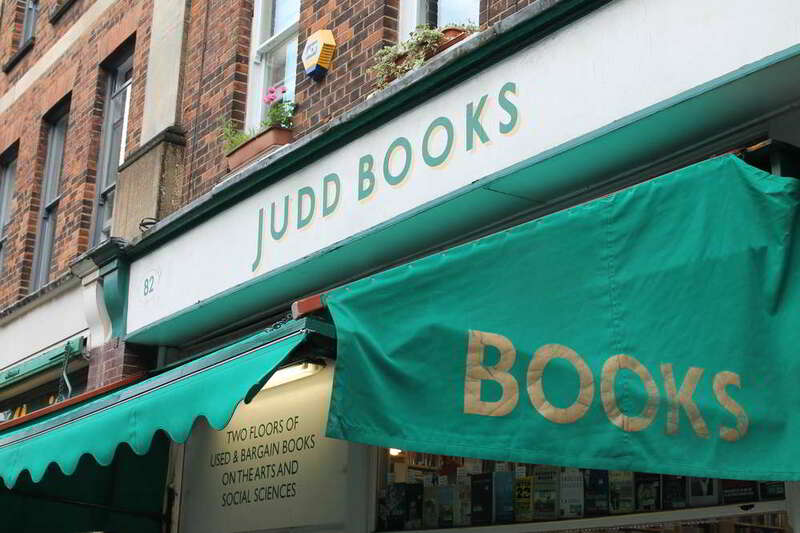 Up the road at number 82, this used book store is worth visiting. Directly across is Fork where I took the above photo of the woman sitting on the window seat. And I’m saving the best for last! 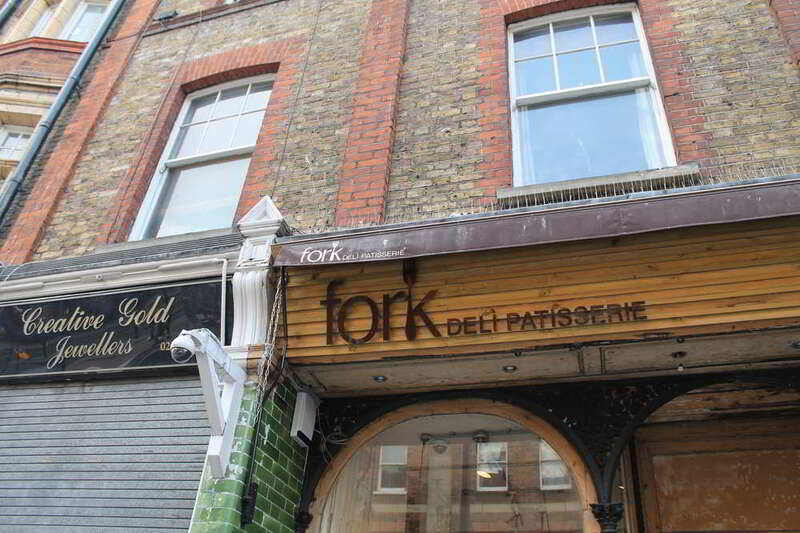 You wouldn’t know it (now you do, thanks to this blog post), but behind this unassuming store front with the rather dreary name (photo below), hides a tea and cake shop that serves seriously delicious cakes, the best I’ve ever tasted. Two years ago I ate a slice of orange marmalade cake that I’m still thinking about. It was served with delicately-perfumed China rose petal leaf tea. They also do a dark chocolate and sea-salt cake with kumquat jam as well as other delights. They do lunch too, however there’s a snag. The place is small and when I went I couldn’t get in, it was jam-packed. Try going during the week or before or after the busy lunch hour. 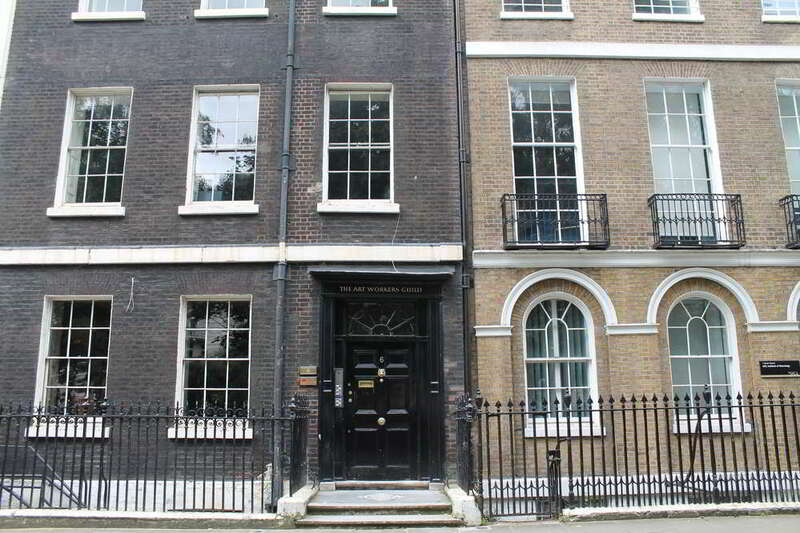 The address is 14 Bury Place, steps away from the British Museum.